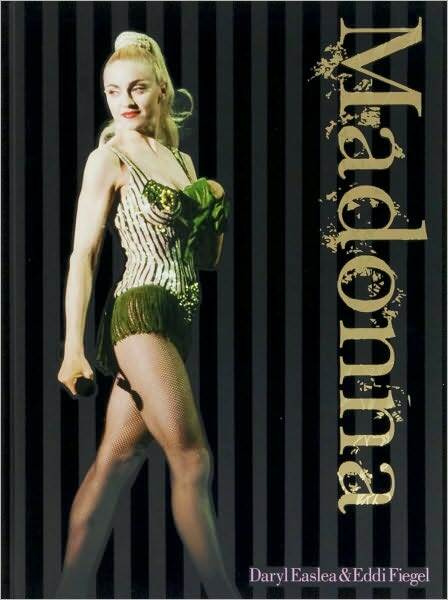 As announced earlier, Madonna’s first Hard Candy Fitness will open its doors this month in Mexico City! The first one is a beautiful and uniquely designed 30,000 square foot space, which will be joined later by other centers in major cities around the world. To celebrate the opening of the Mexico City center, Icon and Hard Candy Fitness have joined forces to offer you a very special deal on the center’s yearly membership as well as a devoted contest! That’s right, being an Iconer allows you to save MX$15,665 / US $1,280 on your first year’s membership! Also, the 30% discount on monthly club fees will apply as long as you remain a Hard Candy Fitness member! If you want to join the Mexico City center, just copy and paste the following form into a new e-mail, fill it in and send to [email protected] before November 29th at 11:59PM Pacific Standard Time. Please use “HARD CANDY FITNESS MEMBERSHIP” as your e-mail’s subject line. Once done, a Hard Candy Fitness representative will contact you to set up your membership. Please note that this offer is limited to one membership per Icon member and is valid until November 29th. Please use “HARD CANDY FITNESS MEMBERSHIP” as your e-mail’s subject line. As part of the celebration, we also have launched the “Gonna Make You Sweat” contest, which allows 6 Icon members to win a free one-year membership to the center or to join Madonna at the Mexico City red carpet event! If you live in Mexico or in the Mexico City area, then it’s time to show us your muscles (or at least those arms you want to make as hard as a rock and as sweet as candy) by submitting a picture of you posing as a true athlete! Thank you for being part of Madonna’s Official Fan Club and stay tuned for more as the fun has just begun! Aren’t we all bored with Forbes’ list yet? 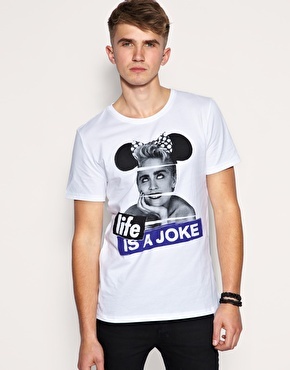 Online fashion shop ASOS is selling some great new tees. Macy’s Inc reported third-quarter earnings that exceeded analysts’ estimates as sales advanced 6.6 percent. Madonna & Lourdes’ Material Girl line is credited as one of the factors that helped reaching this results. Madonna may have to defend her Material Girl brand in Minnesota. A new lawsuit filed against her, last week says the original Material Girl can’t use that name for her products. Gaultier regaled the crowd with tales of how his teddy bear Nana was the prototype for his cone bras, worn not only by Madonna, but by photographer Cindy Sherman and various models. Nana, which he professes to still have, has little patches high on its chest. “It’s a monster,” Gaultier likes to say. It was a marvellous collaboration, he said of his work with Madonna: he also dressed her for her Confessions and Drowned World tours. She would tell him, “You are the only one who never broke my heart,” Gaultier recalled. Madonna’s brother Christopher Ciccone is bringing The Ciccone Factory to town. “The idea is to bring together photographers, musicians, artists, stylists and video directors and have them work toward a single goal of putting this person out on the club circuit. Published in September 2010, Madonna by Daryl Easlea is a richly illustrated, chronological guide to every album, every tour, every film, and more. It covers the key collaborators, the countless controversies, the ever—changing fashions, and everything in between, with pullout timlines for each phase of Madonna’s career. The Swiss Federal Supreme Court affirmed a decision by the Federal Administrative Court to refuse the registration of the sign “Madonna” as a trade mark in Switzerland. Patti Stanger: I Need to Get Dating Advice from Madonna! It’s really weird (to date again) when you’re old, because you know too much. It’s kind of scary. I mean, Madonna’s older than me, I don’t know what the hell she’s going through but I need to take notes from her. Because it’s amazing how much you see. It’s like, “I would have never wasted my time with him in my twenties, forget him!” You’re already discarding and disqualifying because you know exactly what you want. And you’re not going to waste any more time on it.